The MXL 603S is a small diaphragm condenser with transformerless FET electronics based on the classic Schoeps circuit. The cardioid capsule which ships with the microphone is patterned after the Neumann KK84, and the omnidirectional capsule from the 604 model can also be used on the 603's amplifier. 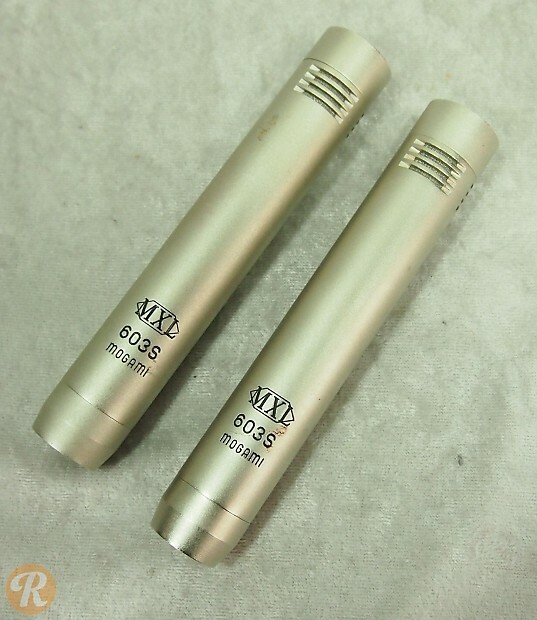 Pricing here reflects a pair of 603S microphones.